Michelin has spoken. 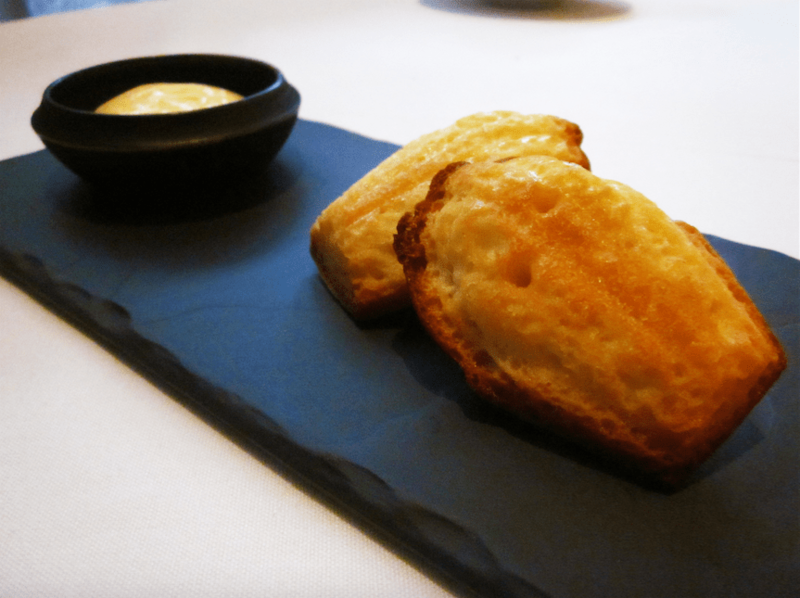 Les Amis, perhaps the most established fine-dining restaurant in Singapore now has two stars from the renowned food guide. Regardless of what one might feel about the Singapore Michelin Guide, Les Amis’ inclusion in it should come as no surprise and also a non-issue. A pioneer in Singapore’s fine-dining scene that has been around since 1994, Les Amis serves French cuisine from its premises at Shaw Centre. Over the years, the restaurant has served many discerning fine-dining enthusiasts, including us. We had lunch at Les Amis in December 2013. It was an apt celebration of our third wedding anniversary. 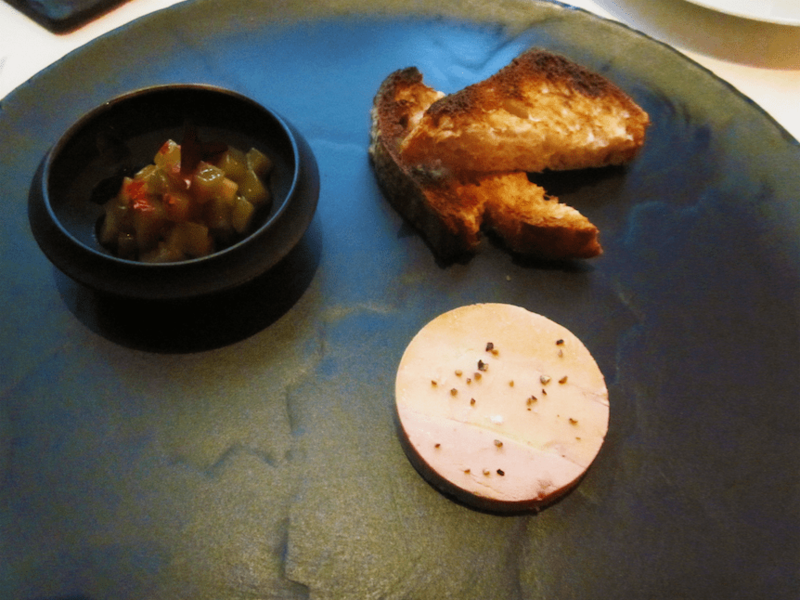 We had the three-course lunch menu that began with a starter of 10-day dry aged Duck Foie Gras Terrine from Landes accompanied with mango chutney and sour dough toast. 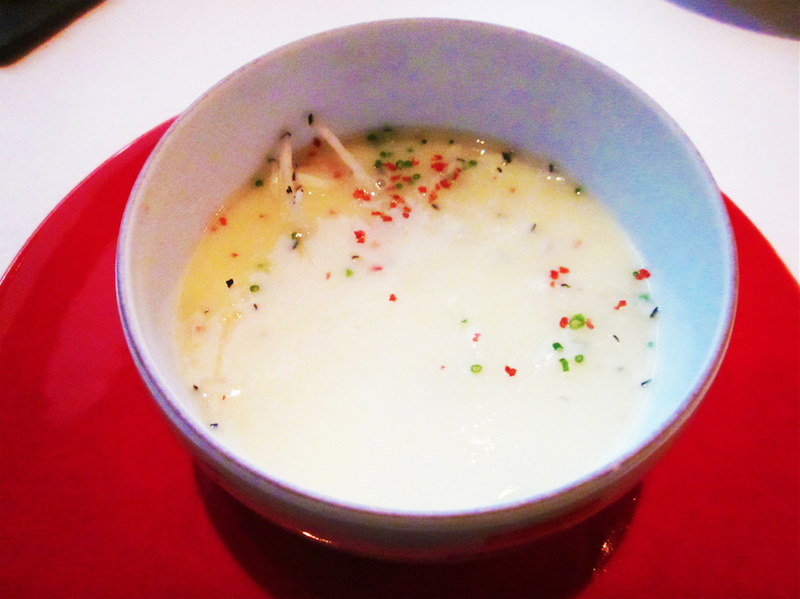 This was followed by a surprise of Silky Daikon soup with Parisian Horseradish and South American Pink Peppercorn. 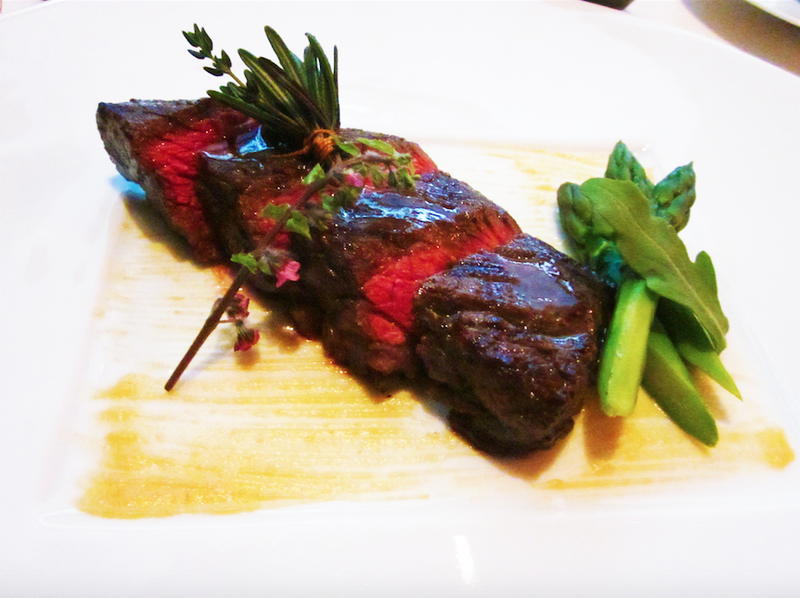 The highlight of the meal was the Charcoal-grilled Wagyu Beef Steak with green asparagus and a light touch of Kyoto White Miso. 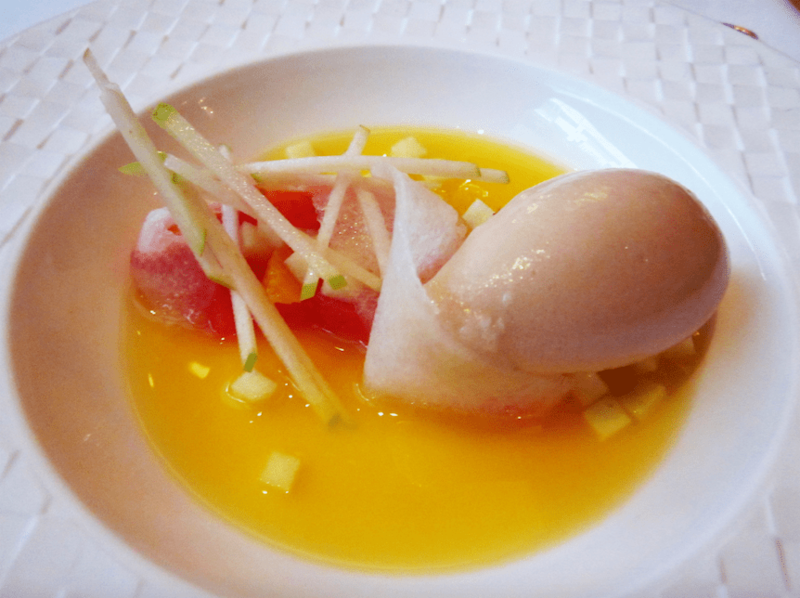 Dessert was an extremely refreshing fruit and sorbet dish. The entire meal was capped by a lovely surprise of Madeleines with lemon cream dip. We had a decent lunch at Les Amis and would recommend it based on its iconic status as an essential fine-dining establishment in Singapore. However, among our own dining experiences, we have had better, more outstanding ones at other restaurants, such as Jaan. Nevertheless, Les Amis is still very much better than Iggy’s and definitely worth a try.